So my dearest friend and building supervisor when I was living in Uganda – Mubiru Frank Adams has gotten a football scholarship to visit Sweden for 2 months. It’s super exciting except that his visa, insurance and incidentals are not covered. I don’t want him to miss out on this opportunity because of lack of funding so am trying to raise UGX 1,800,000 (Rs 25,000 in Indian currency) so that he can make it there! I realised that I have tons of clothes, shoes, books, bags, souvenirs, jewerly and other paraphernalia that I have collected from around the world over years of traveling. I figured why not auction them as I am going towards a minimalist lifestyle anyway! So you are invited to browse through some interesting junk and also read unique stories of each of the pieces being auctioned. A lot of people keep asking me about my experiences of living and travelling across East Africa and Madagascar. Well, this is your chance to hear it all from yours truly. The auction will be followed by a ‘chai’ session of stories ranging from how my school security guard wanted a gun to protect the school to how my own housemaid threw me a surprise birthday party. And of course some bits and pieces on geography, history, anthropology, baby lemurs, virgin tropical forests and the African hip shake! 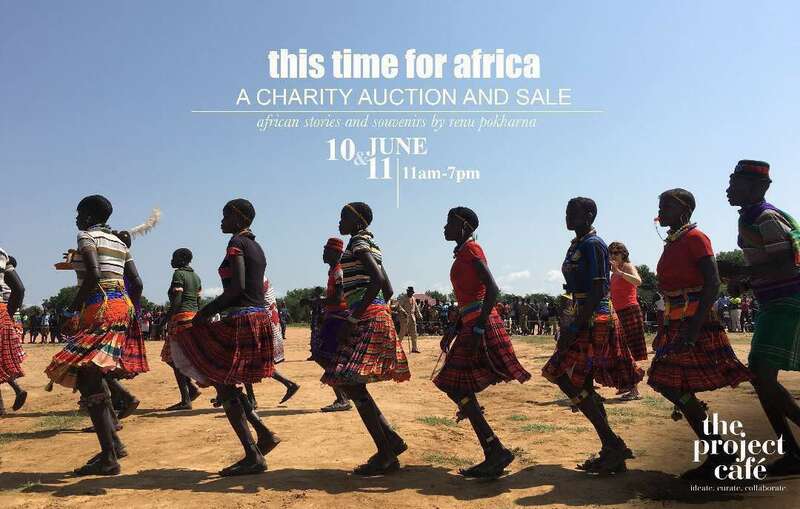 We will be doing a special menu and dinner on the day of the event – 10th June, tickets for the same will also be auctioned. To bring you the taste of Africa, we are trying our best to find the right cassavas, avocados and pumpkins! The dinner will be a continuation of the evening session, but a more personalised one where as you savour matoke, posho and other African dishes, you can have a tête-à-tête on more African adventures.